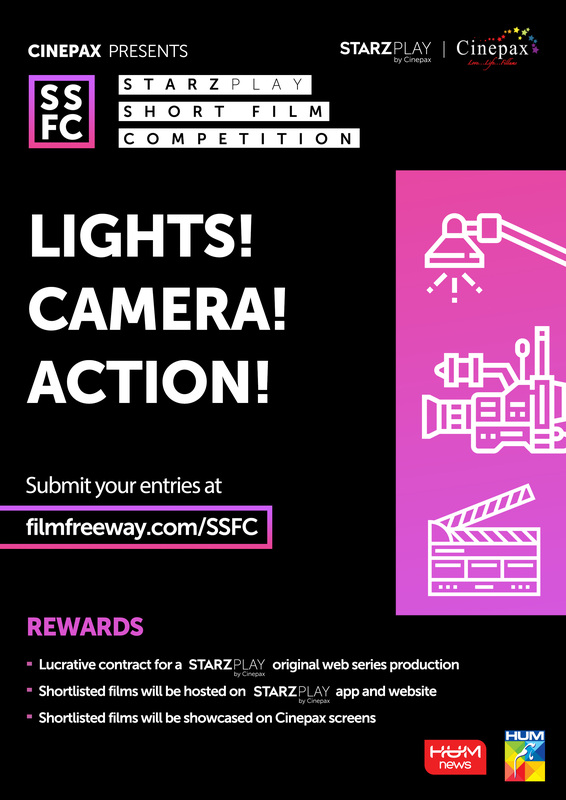 What is STARZ PLAY Short Film Competition (SSFC)? 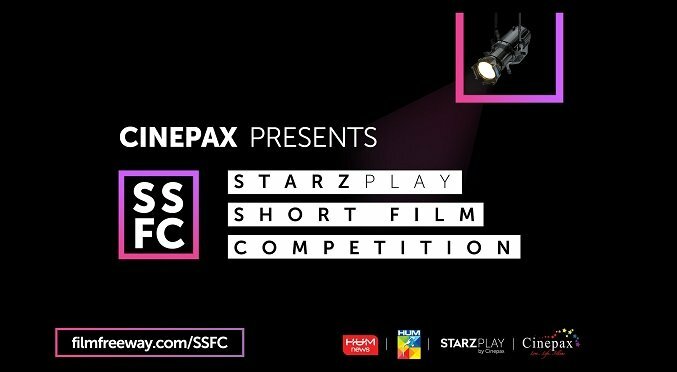 After the successful launch of STARZ PLAY by Cinepax, they are now offering an opportunity for emerging and aspiring filmmakers to showcase their talent and put their work in front of the entire nation via ‘STARZ PLAY Short Film Competition (SSFC)’. SSFC is a uniquely tailored and carefully planned short film competition, whose purpose is to empower young filmmakers and bring them under the limelight of the entire nation and the industry’s execs. Participants will be required to visit www.filmfreeway.com/SSFC for details of the competition and submit their entries. Content curation and processing shall be done in-house by the content team. All entries will be judged in phases, first through a view based voting on the STARZ PLAY by Cinepax platform and later by a panel of experts. Shortlisted movies will be screened at the final event on the big screen with people from the film and media industry in attendance. Shortlisted movies will get a dedicated carousel on STARZ PLAY by Cinepax website and will be available to stream. The winner will get an exclusive lucrative contract to produce a STARZ PLAY by Cinepax original web series. Please read all the rules and requirements before submitting your project. 1. To submit a film, you must have created the project yourself, own the rights or have permission from the owner of the content to submit the film to us. 3. We do not accept any films made before 2010. 5. All films must be in either English or Urdu. 8. SSFC is not responsible for broken or non-functioning films. 9. Films do not have to be screened publicly to be eligible for our Competition, prizes, or awards. 10. SSFC is a competitive event and unless notified otherwise, all films officially selected are eligible for competition. Not all submissions received are selected for SSFC. 11. All films are nominated and voted upon by a jury of film professionals, from an independent point of view and also screened for views on SVOD platform for a view based public vote. 12. All genres and formats are considered eligible for nomination. 15. Submission does not guarantee a screening. If your film is chosen for screening, a high-quality copy may be required. 16. By sending your film you confirm that there are no copyright infringements on your behalf, and we take no responsibility in this matter. 17. Complete documentation for each submitted film is to be made available to the Competition if required. 18. “Short Films” are classified as minimum 7 minutes and maximum 15 in length, excluding credits. 19. Once a film has been selected, it cannot be withdrawn from competition. 20. By submitting you agree to our terms and conditions and give us permission to use your email address for marketing purposes. Your data will never be shared with 3rd parties. Daily InfoTech: What is STARZ PLAY Short Film Competition (SSFC)?